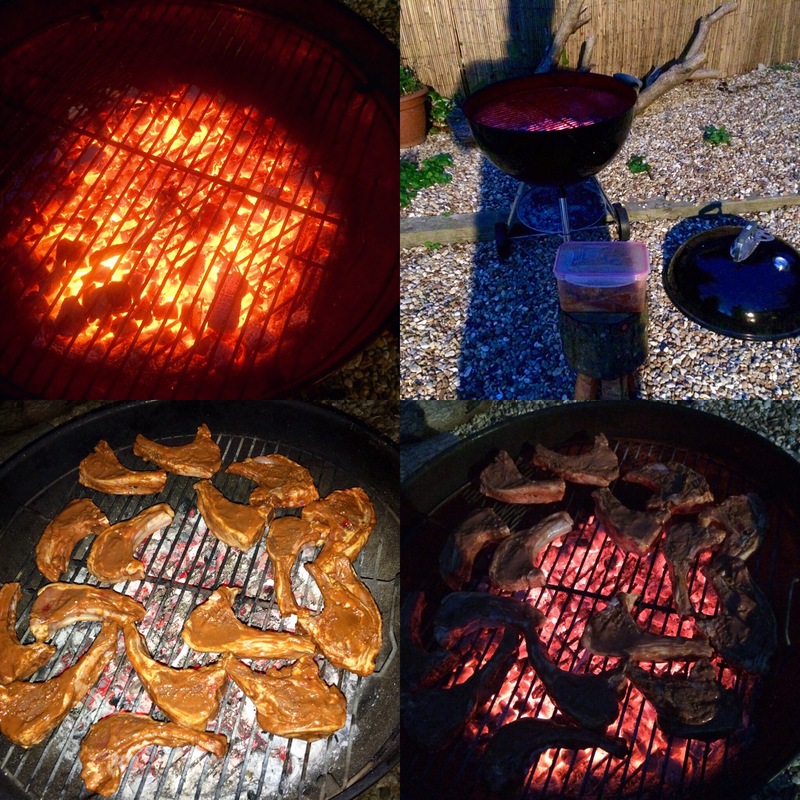 Home › Dinners/Suppers › Welsh lamb chops two ways .. And the BEST chips ever! Welsh lamb chops two ways .. And the BEST chips ever! 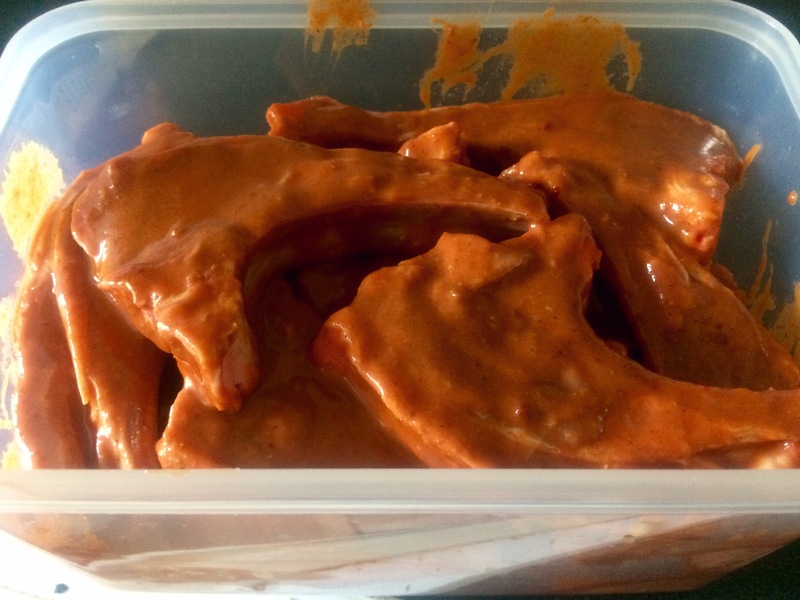 Having managed to score a red ticket number on some wonderful Welsh lamb chops.. It’s was what to do with them? Ok.. Start by using up some glaze that I had that needed using.. Pimping it with some other stuff.. Remembering from my excellent chef pal to add a sprinkle of malt vinegar.. I forget why yet it works ! 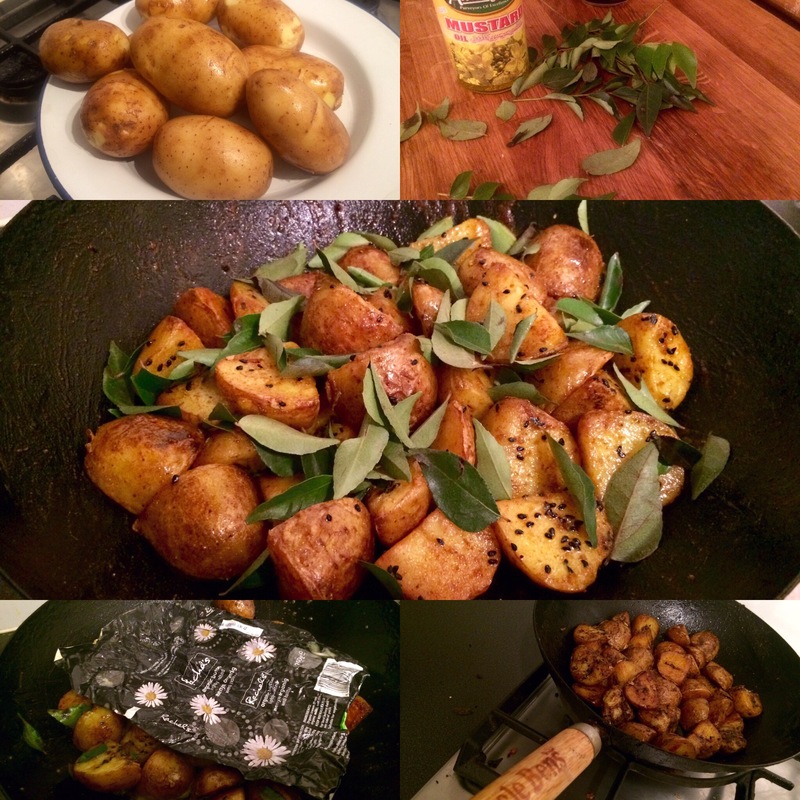 And grilling them up good..
Great potatoes .. New season .. Boiled in skins.. 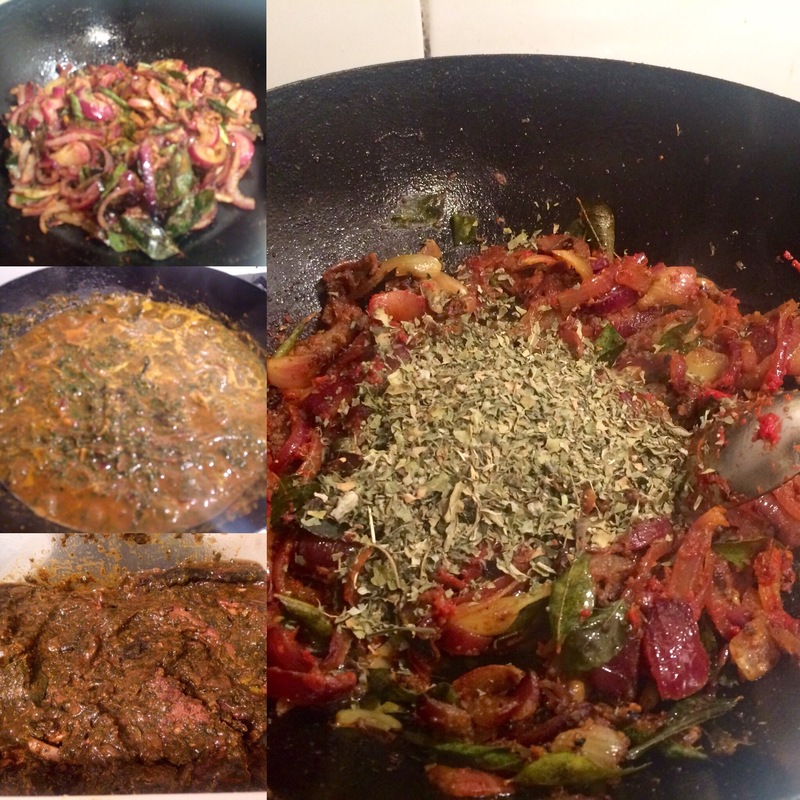 Them fried up in Uncle Bens wok..Turmeric, onion seeds curry leaves and possibly some other bits.. Aha yes! Butter! Nothing too heavy though! Those were delicious!! Seriously delicious! Righty hoo.. That dish one.. Admittedly that’s a heap of chops that were left.. So next a great ‘curry’..
Onion garlic and ginger fried off .. Curry leaves, garam masala, turmeric, salt and tomatoes paste.. Water.. Spinach and dried fenugreek.. This is a wonderful smelling dish.. The kitchen smelling like something very special ..
And when ready it had to be with prudys chips.. 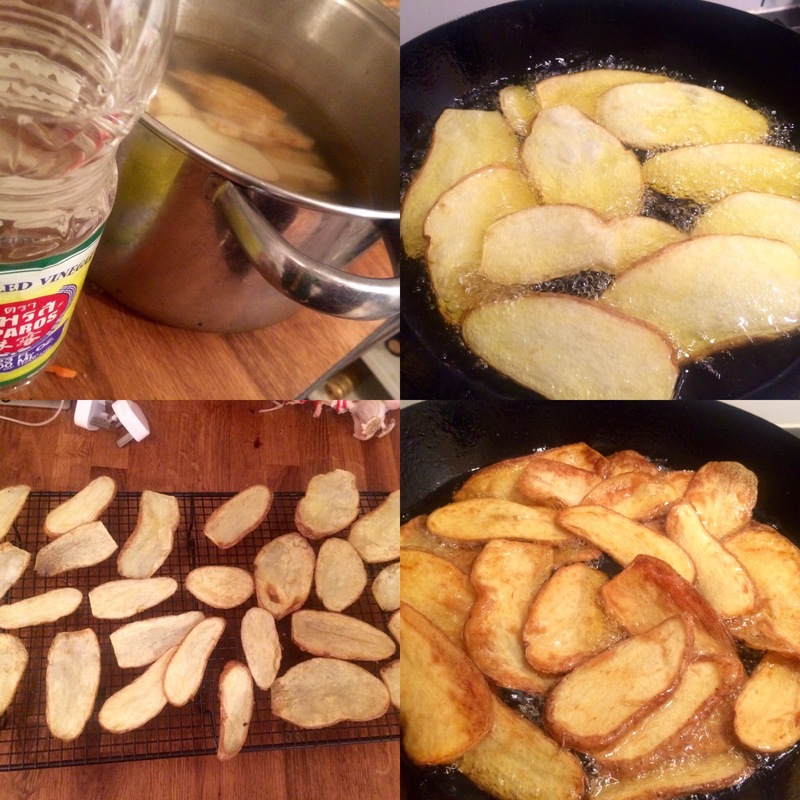 Sliced Cyrus potatoes .. Boiled in Thai white vinegar.. Just four minutes .. From standing cold to time out.. They go cold on a rack then get double fried in straight up Mrs Middletons oil.. If you haven’t tried it you really must.. I actually wanted to fry them in olive oil yet don’t own enough right now..
And onto a plate ..
Full on enjoyment.. Full on..
Love the chips Mr. Fitz and the curry sounds delicious with all the spices going on.. Slow cooker must have added the magic to the lingering taste. Sure did! Those chips though…. Delicious heart warming meal. 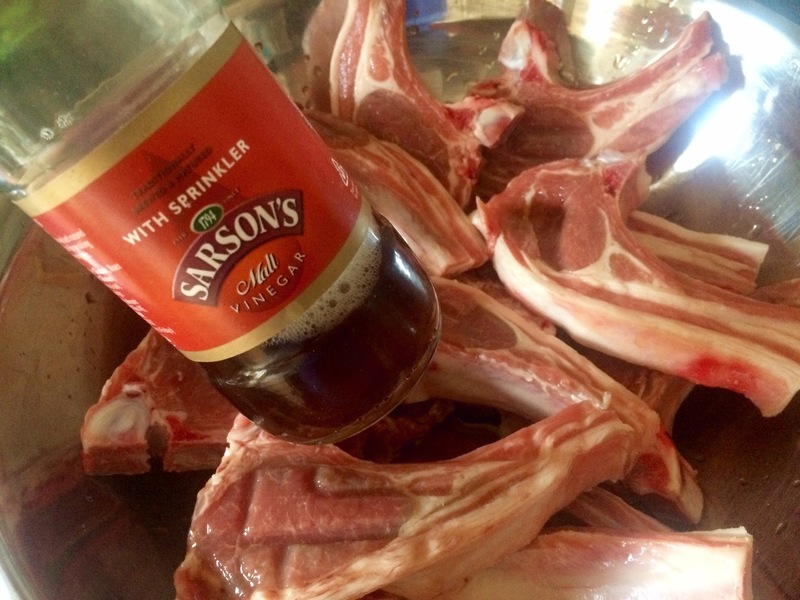 I used lemon juice instead of vinegar in my lamb chops when I cooked them last week. Will try this version. 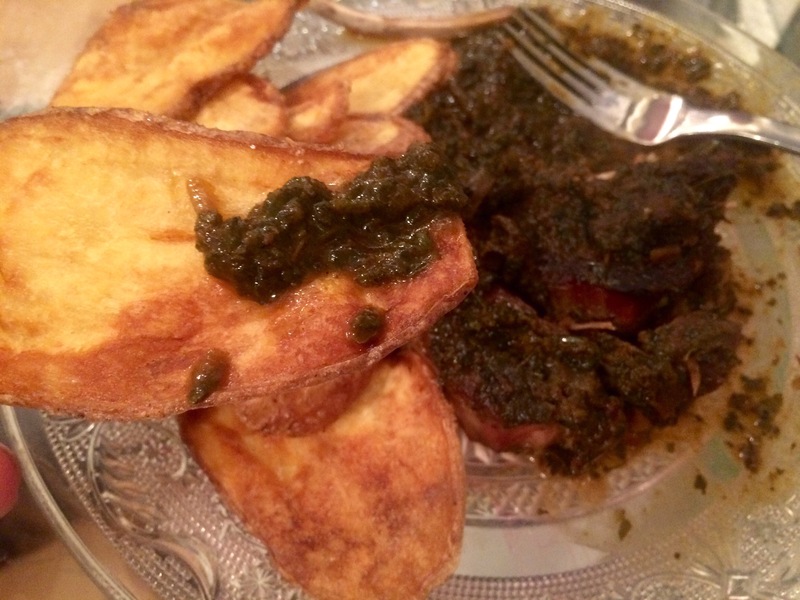 Love the way you cooked the lamb, and those chips look addicting!